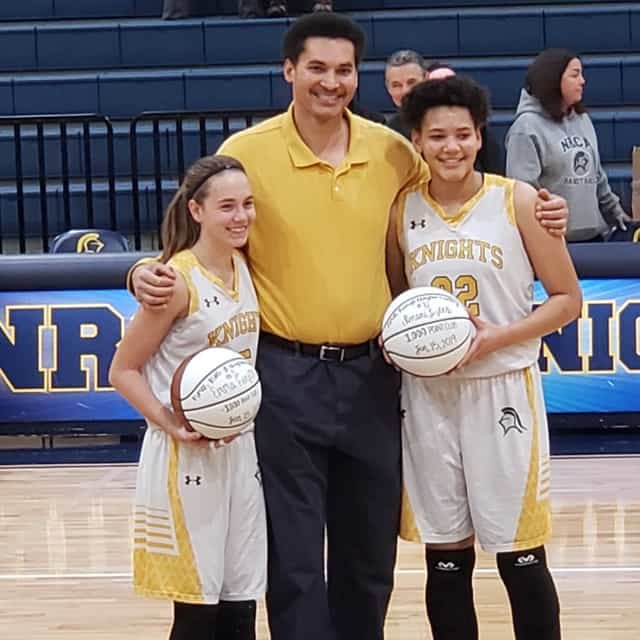 Emma Finster, sophomore, and Imani Lester, freshman, recently achieved 1,000 points in their basketball career. 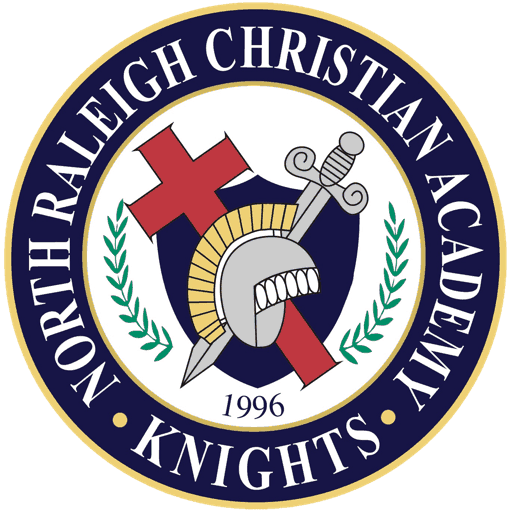 The Varsity Girls basketball team beat Ravenscroft for the first time in NRCA history. On Jan. 15, the NRCA women’s basketball team had a game against their rivals, Ravenscroft, where Finster and Lester were surprised with the news that they had scored 1,000 points in their NRCA basketball career. It was announced before lineups by the varsity head coach, Avie Lester. “I was definitely surprised. Everyone was really good at keeping it a secret from us, so I had no idea that it was happening. Everyone was already super hyped up for the game, and that just added to it. You always want to perform your best, but especially after being recognized for something like that,” Finster said. “I was completely surprised. I couldn’t believe I had achieved such a milestone so early in my high school career. I was already really excited to play the game, but it did motivate me a little more,” Imani Lester said. In the past, NRCA women basketball players have received this award, but no one has ever received the award as a freshman or a sophomore. This is the first time that anyone has received this honor in Coach Lester’s four years of coaching. Finster and Lester have been on the team since seventh grade. “I’ve gotten to know so many amazing people since then [seventh grade]. It’s been really cool to get to see how the team has progressed and gotten better every year. The older girls were so nice to me when I was younger, so that definitely had an influence on how I act towards other people that are playing up now because I was in the same position and was blessed with amazing teammates,” Finster said. Finster has been named All-Conference her freshman year and Lester has been named All-Conference her seventh and eighth grade years. Finster has averaged 17.1 points per game and Lester has averaged 19.1 points this season. “Both Emma and Imani make me a much better coach than I truly am. They can create shots for themselves and shots for their teammates. Our offense is one of the best in the state with the two of them in the line-up,” Coach Lester said. The team has had a successful season and is currently number one in the state. They are going to continue to push towards the goal of winning the state championship. “This season has been great! We are ranked number one in the state, and we have a good chance to compete for the state championship, but the thing I’m the most proud of so far is beating Ravenscroft for the first time in varsity basketball history,” Lester said.